Genuine spare part to fit Dyson DC18 vacuum cleaners .. This is a genuine Dyson replacement stair tool for your DC18 vacuum cleaner. ..
Genuine Dyson DC18 Hepa post filter. Suitable for: Dyson DC18 All Floors models Dys.. 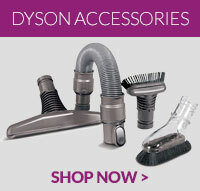 Compatible Dyson DC18 filter replacement for all models of Dyson DC18 vacuum cleaners. ..